I’ve been on a kick recently of reading books set during World War II but in unusual places. I tore through “At the Water’s Edge” by Sara Gruen, which took place in Scotland during wartime and centered on a Loch Ness Monster-tracking plot (you just have to read it). Then I revisited “The Orphan’s Tale” by Pam Jenoff. “The Orphan’s Tale” follows Noa, a Dutch 16-year-old who is cast out from her home after she becomes pregnant by a Nazi soldier and is forced to give up her baby, and Astrid, the trapeze artist who has to hide her Jewish identity. 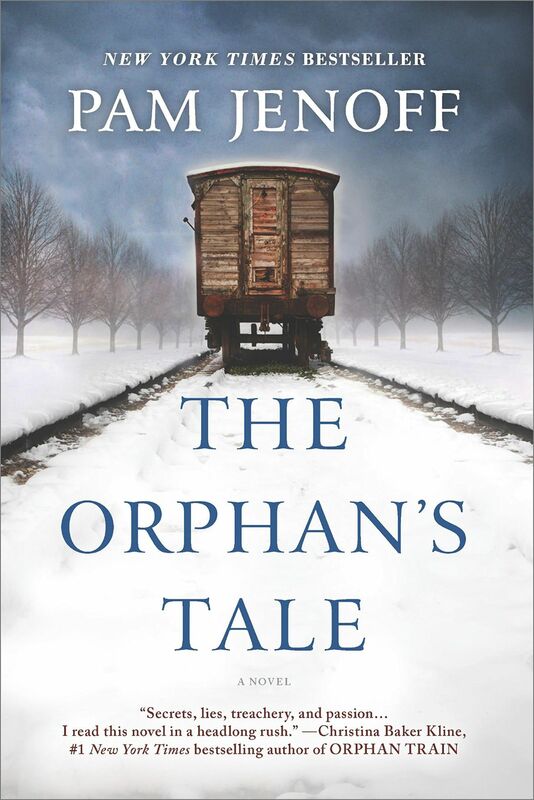 Noa shelters herself by working at a train station, until one night she finds a boxcar of Jewish infants destined for a concentration camp and decides to rescue one and flee. She’s found by a traveling German circus troupe led by Herr Neuhoff. She learns the flying trapeze to better blend in and creates a life for herself and the baby. She is tutored and chastised in turn by Astrid, who has made her own sacrifices to survive. The friendship the two ultimately form is a truly endearing one as they learn how much they have in common and how much they care for each other. The circus becomes as much a main character as Noa and Astrid, and a fascinating one at that. Astrid Sorrell, born Ingrid Klemt, is from a circus family, a rival of the Neuhoffs — but it’s the only one left. She returns to her family’s home after living in — and fleeing — Berlin and finds it empty. Jenoff writes in the afterward about the little-known, true history of the role of the circus and the shelter it provided Jewish performers like Astrid. The book’s Circus Neuhoff is inspired by the real Circus Althoff, which had taken in a young Jewish woman and her parents and sister. There were real circus dynasties like the Neuhoff and Klemt families (Astrid’s family), many of whom became casualties of the war. As the circus travels through Europe, the scenery surrounding it becomes more volatile. Stops it made in previous seasons are no longer options due to Nazi strongholds. SS officers become a frequent presence in the audience and beyond the tent. It’s a fast read only because it completely compels you from the very first chapter. The writing is beautiful, the characters feel alive, the story is gripping. It shows how the dangers of the war infected every corner of society, particularly through Astrid’s constant fear of being found out and facing a fate worse than circus tigers let loose from their cage. Amid the fear and danger there is love and hope as friendships develop and relationships blossom. The circus comes to life with adept descriptions, from the smells of the cabins and the feel of the chalk Noa puts on before performing, to the sounds inside the Big Tent on a performance day. The characters feel multidimensional and well-developed and quickly become ones you fall for. Beate and Serge Klarsfeld aren’t your typical Nazi hunters, and their memoirs reflect that. Part love story, part diary, part adventure tale, “Hunting the Truth” tells how the unlikely duo essentially developed a family business that uncovered Nazi war criminals, including Gestapo captain Klaus Barbie, Paris police chief Maurice Papon and SS official Kurt Lischka. The Klarsfelds alternate chapters, each detailing their backgrounds. Serge is a French Jew whose father gave himself up, later dying at Auschwitz to save his wife and children, while Beate is a non-Jew who grew up in the ruins of post-war Germany. They married in 1963. Years before the advent of social media and 24-hour news cycles, the Klarsfelds recognized the value of publicity, engaging in stunts that drew plenty of attention. For example, in 1968 Beate Klarsfeld publicly slapped German Chancellor Kurt Georg Kiesinger, a former Nazi propaganda official. Six years later, the couple were sentenced to a couple months in prison after attempting to kidnap Lischka so they could transport him to France to be prosecuted. Those sentences were later suspended and Lischka was arrested in 1980. As might be expected, the Klarsfelds were controversial figures who did spend time in jail. Their French home was also the target of a car bombing in 1979, but nobody was home at the time and nobody was injured. 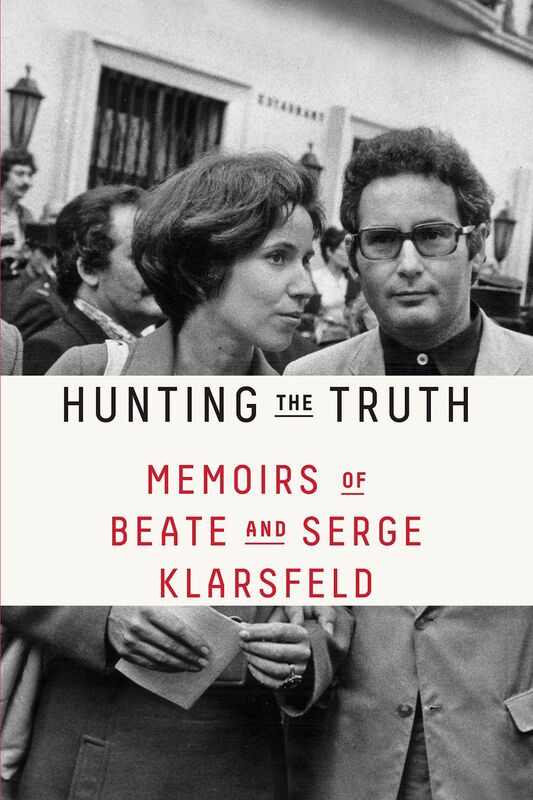 Those looking for great writing aren’t going to find it here, but the Klarsfelds have led extraordinary lives, making “Hunting the Truth” a worthy read despite being raw at times. The memoirs were originally published in French in 2015, but have been translated into English. This article originally appeared in the Jewish Exponent, a publication affiliated with Jewish News.